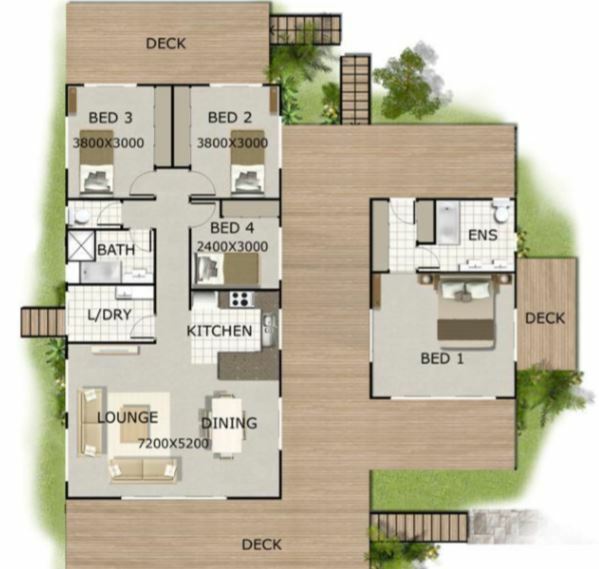 The 'Barnaby' is a four bedroom, two bathroom Pavillion style kit home offered by Valley Kit Homes. The Pavillion style has the excellent idea of separating the main living areas from the parents bedroom by utilising two stand alone units. The parents area (retreat) has an ensuite and separate deck. The larger living area has an open plan kitchen / lounge / dining section, full bathroom and three more bedrooms, as well as a separate toilet and laundry. This Barnaby plan has a very attractive gable extension ahead of the lounge dining area to cover an extended verandah. The main bedroom pavillion also has this feature. As with most Pavillion style homes a covered breezeway is an added feature using a stylish overhead pergola. For the owner builder, a gable roof design is one of the least difficult to construct. 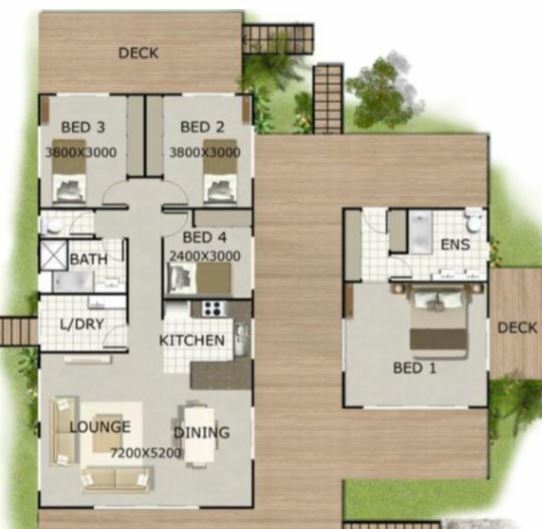 The plan has approximately 125sqm under roof and is over 200sqm if you use the raised floor/deck option. The price for the full kit (including internal linings, doors and robes) started at a very respectable $83,000. Download their brochure for the current prices and an Inclusion List for available upgrades. As you can see from the graphic, if you want a raised floor system, a considerable area is required to provide verandah and breezeway space, so that cost will be another $40,000. 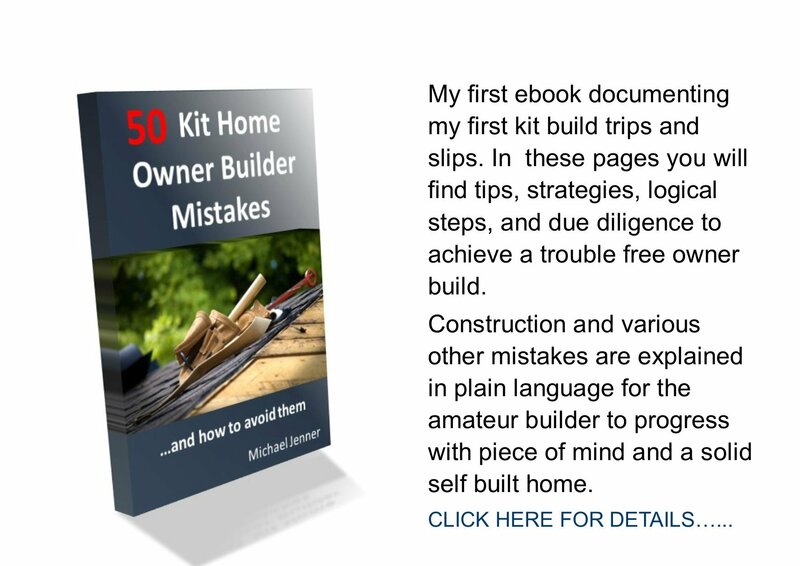 This would include piers, bearers, joists, flooring and decking. The amenity of the deck would be amazing. 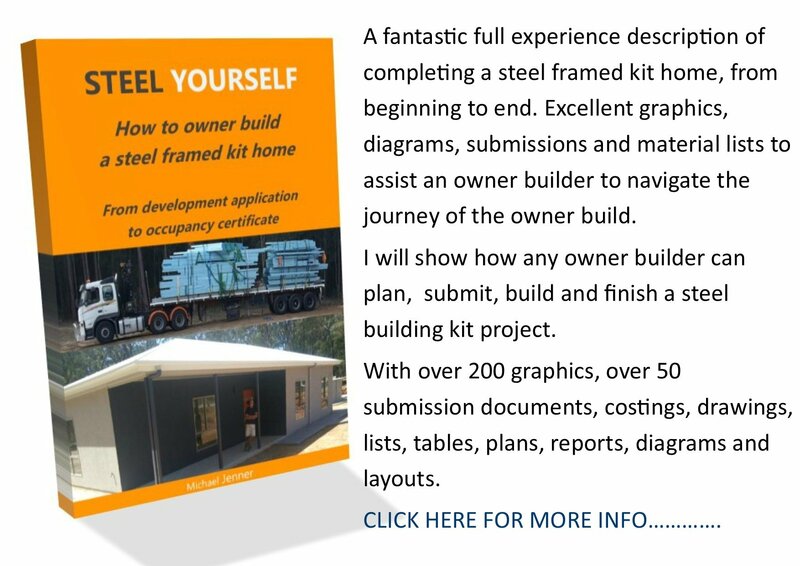 Valley kit homes also provides additional engineering for cyclonic areas if required. If you want to build a Pavillion style kit home, the Barnaby is definately worth considering.